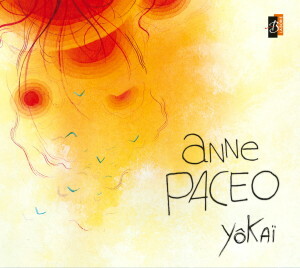 Anne Paceo explores new horizons with the best talents of the French jazz scene in this third album titled Yôkaï that has earned her a name as a leading French jazz composer. The quintet is considered to be one of the most exciting events on the French jazz scene for the past years. For Yôkaï, Anne Paceo was inspired by her travels around the world for these luminous compositions written from Rangoon to the Polar Circle by way of the Ivory Coast and customized for the musicians that have joined her to undertake a new adventure.